In the event of a government shutdown on April 9, 2011, the United States Patent and Trademark Office will remain open and continue to operate as usual for a period of six business days – through Monday, April 18, 2011 -- because the USPTO has enough available reserves, not linked to the current fiscal year, to remain in operation until then. Should a shutdown occur and continue longer than the six-day period, we anticipate that limited staff will be able to continue to work to accept new electronic applications and maintain IT infrastructure, among other functions. More information will be posted on this website as it becomes available. Thank you. 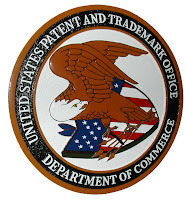 See also further observations on the Patently-O and IP Watchdog patent blogs and the e-mail message from USPTO Director David Kappos to the examining corps regarding the impact of the potential government shutdown on the USPTO, as published by Just a Patent Examiner.